Sublue, based in Tianjin, dedicates itself to the mission of exploring the underwater world, promoting welfare to both mankind and marine life by cooperating with partners from science, technology, sports and environmental protection to maximize both product innovation and ocean preservation. 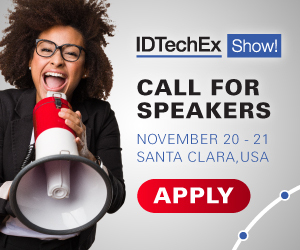 For more information see the IDTechEx report on Mobile Robots and Drones 2018-2038. WhiteShark Nano, a super smart autonomous underwater robot, is an ideal solution for underwater photography and videography. It uses AI to follow a preset target, whether that is a human diver or marine life, to capture beautiful shots even from a distance. Its 120° wide-angle 4K camera with two LED lights and seven mini propellers with dedicated dynamic control algorithm provide high-quality images and video footage. Seabow, is the latest generation underwater scooter that pulls users effortlessly through the water. With an iconic crossbow design it is ideal for recreational diving. Powerful dual motors with three speeds can run up to 6ft per second (1.8 m/s). It has two mounting options for cameras, lights or weights. WhiteShark Mix, the world's smallest double propeller underwater scooter has an innovative detachable floatation-enhancing accessory for buoyancy control. Perfect for swimming, snorkeling and diving. The dual motors plus dual propellers mean high speeds of up to 5 ft/s (1.5m/s). A built-in action camera mount makes it easy to capture shake-free footage in the water. Swii, this intelligent electronic kickboard enables both adults and kids to have fun in the water regardless of their swimming ability. The dual motors have a safety cutoff feature, to balance excitement with safety, while the ergonomic foam design provides comfort and protection. Users can change speeds and customize their Swii with the built-in LED lights.